All orders placed on caseswill would be shipped free. Express includes DHL China, EMS China, DHL Hongkong,EMS singapore,The tracking number and corresponding tracking site will be found in your ordre stasus after order shipped. A tracking number and the site for tracking will be updated in your order stasus. There is no tracking number for this shipping method. We understand that you are very concerned about the usage and sharing of your personal information. And we are very appreciated your belief on our prudence and sensitivity handling this issue. This declaration will specify our policy regarding the protection of your privacy. Our website is under the operation of caseswill Inc.
To help us making the E-mail more useful and interesting, when you open the email from caseswill, we will often receive a mail confirming you having read the delivered email. (if your computer support this function)We will also make the comparison between our customer list and other companies’in order to avoid the junk messages. However, cookies can help you to make most use of the best special services from caseswill, so we recommend you to set up an open status for this program. The information you can get easily from caseswill containing the latest order information, identifiable personal information (including name, email address, password, directory inquiries etc. ), payment settings (including credit card details) and so on. A. Returning DOA (Dead On Arrival) items. Any products malfunctioning on arrival (excluding cases of reckless handling of the product) within 5 days after Express delivery or 30 days after shipment if the delivery date is untraceable is eligible for a replacement and you need to provide us with proof as below:The photos of the original package with the front and back sides and photos or videos showing the malfunctioning of the defective Product. If these requirements are met, return it to us at your convenience and at the lowest cost possible and we will ship a functional replacement to you free of charge. B. Returning the wrong item. If the item you received is completely different from the one you ordered, please contact our CS with photos or videos of the different product. If a return is necessary. replacement plus shipping cost will be issued to you on receiving the returned product. Or if you take it , we will offer a 10% discount for buying it, and we will send the replacement product to you. C. Returning products you are unsatisfied with. If for any reason you are nothappy with your purchase, please return it in 10 days in its original package with the receipt for a refund or a exchange if the return is not caused by caseswill's error. We charge 20% of the product's free during a refund, or if an exchange is requested, you are obligated to pay shipping costs for the return and replacement. 1. 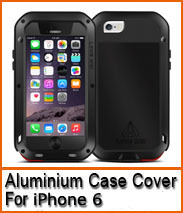 All Customers should contact our Customer Service email service@caseswill.com,for a RMA before returning any items. caseswill will not responsible for any delay caused with no RMA indicated. 2. caseswill staff will email in 2 or 3 business days when returned packages are received. Priority will be given to all returned items with RMA numbers and exact descriptions of product problems and they will be processed in 1-2 weeks. a:Check the package if it is complete without any damages. b:Open the box and ensure that all the items ordered are there, in case something is missing. 1. Can I change my delivery address after placing an order? caseswill will only ship to the Paypal address due to safety concerns. For peoplewishing to change their address, please leave the delivery address through a Paypal message. Addresses noted in email or via the Livechat are invalid. 2. How are Tax and Customs duties handled? At caseswill, no products are taxed. However, customs officials inspect shipping packages at random. caseswill cannot ensure that your package will remain uninspected and the customer will need to pay taxes at the request of authorities. For people who do not want to pay the tax, please leave a comment when placing the order with the value. 3. How long does it take for caseswill to process the order? Your order goes through several steps before it reaches your door. Step 1 (1-2 business days): The order(s) are double checked by our QC staff. Step 3 (5-35 variable days): The Product(s) are en route to the shipping destination via Express or Air mail. However, due to customs inspection and clearances it may take up to an additional 7 business days to reach the destination. Dont hesitate to contact our customer service when you have a large order! They will give better price. You can enjoy our sales promotion on holidays. The order status will be updated in "My orders" in your account. You can edit your registeration infomation in your account after login.